Each of our titles feature multiple stories by four authors, providing "sampler" anthologies of the finest writers in modern horror. Since 2006, we've published seven anthologies, been written up in Year's Best Fantasy & Horror, Cemetery Dance and Rue Morgue, and been nominated for a Bram Stoker Award. To solidify our position as a serious, highbrow press, we staged the first-ever World Horror Convention Pajama Party in 2008! 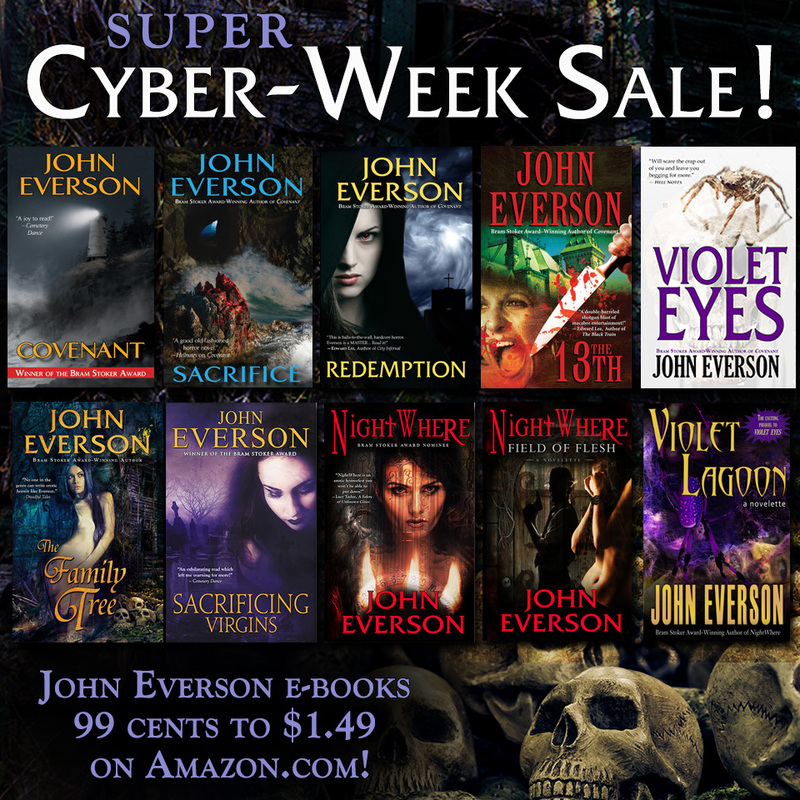 John Everson Super Cyber-Week Sale! This week, Redemption, The Family Tree, NightWhere, Violet Eyes, Violet Lagoon, Field of Flesh and Sacrificing Virgins are all just 99 cents on Amazon! Covenant, Sacrifice and The 13th are $1.49! Plus – Cage of Bones & Other Deadly Obsessions is… FREE! NightWhere, Violet Eyes, The Family Tree and Sacrificing Virgins – back in trade paperback! 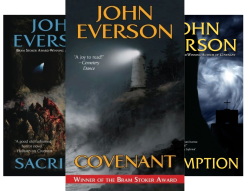 John Everson’s four books for Samhain Publishing were reissued by Dark Arts Books in e-book format in January when Samhain ceased business operations. So while the books never completely disappeared, it’s been hard to find paper copies over the past few weeks. But now, at last, we can announce that they’re fully Back In Print! You can see the full wraparound bookcover art on Everson’s blog. At last, you can now get… REDEMPTION! 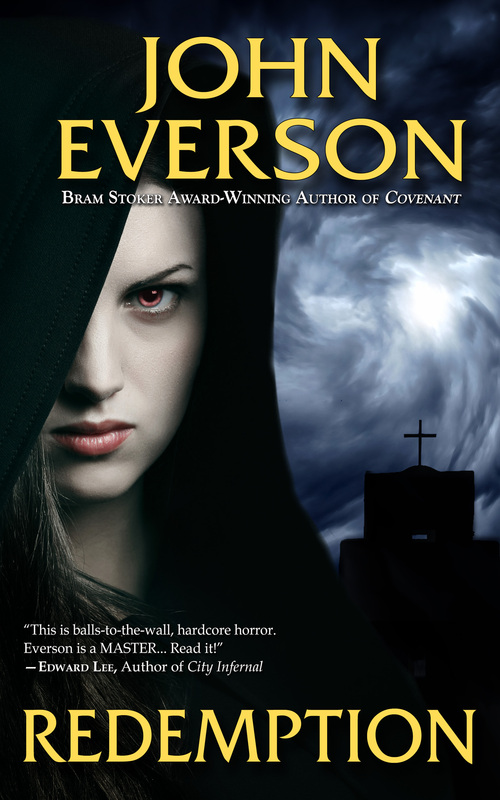 Dark Arts Books has released REDEMPTION, the final book in John Everson’s horror trilogy that began in his Bram Stoker Award-winning first novel, COVENANT. 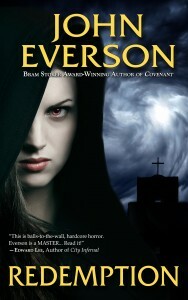 If you like your horror fiction filled with demons and depravity… this is the novel for you! The e-book and trade paperback are both now available on Amazon. “Redemption unfolds as horror-hero Joe Kieran’s finish-line sprint down the last leg of Everson’s addictive occult storyline of blood-gushing demonic machinations, cursed existential characters, and abominations incarnate. Redemption is Everson’s first novel since 2014’s The Family Tree, and picks up immediately after his second novel, 2007’s Sacrifice left off. Covenant, Sacrifice and Redemption are all Kindle Select titles, which means subscribers to the Kindle Unlimited program can read all three books in the trilogy for free as part of their subscription. View all three books in “The Curburide Chronicles” trilogy here.